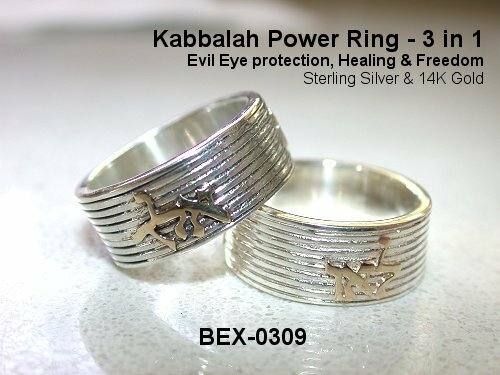 Our new Kabbalistic Protection, Healing and Freedom Rings, are made of Sterling Silver and Kabbalah letters are in Gold. Kabbala (Kabbalah or Kabala) is an aspect of Jewish mysticism. 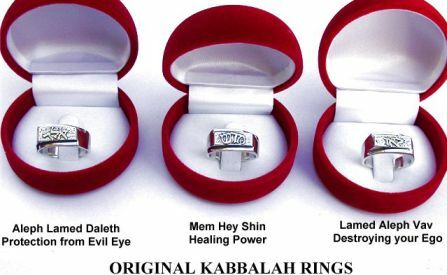 Some aspects of Kabbala have been studied and used by non-Jews for several hundred years. 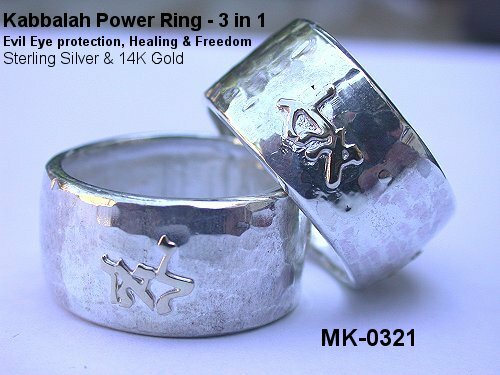 Taken from the Kabbala, the combination of these three powerful Hebrew letters - Aleph, Lamed, Daleth, evokes the consciousness of PROTECTION. 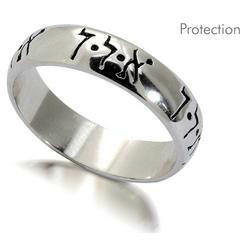 These rings protect the wearer as well as anyone who looks at it and beleives in the power. The combination of these three powerful Hebrew letters - Mem, Hey, Shin, evokes the consciousness of HEALING. Taken from the Kabbala, the combination of these three powerful Hebrew letters - Lamed, Aleph, Vav, help DESTROYING YOUR EGO. ABOUT YOUR EGO: According to the Kabbalah, it's the ego that holds you back from achieving your potential. When we find ourselves trying to convince others that we're right, even when we're wrong AND even when we know we're wrong - that is your EGO! By destroying your ego there won't be any limits to what you can achieve: HEALTH, PROSPERITY, LOVE AND HAPPINESS. Kabbalah is an ancient Hebrew mystical system of thought. While it derives from the mystical interpretations of the Old Testament, it has become the fastest growing spiritual movement in America with followers from all religious backgrounds. Awareness of Kabbalah has risen in recent years thanks in part to well known celebrities who have embraced the study of these mystical teachings. Revised: 04 Nov 2009 19:27:29 -0500 .